2018—What a year! We had a lot of fun, and we enjoyed helping you and your family have fun too. Strawberry season may seem far away, but we are already preparing here on the farm. 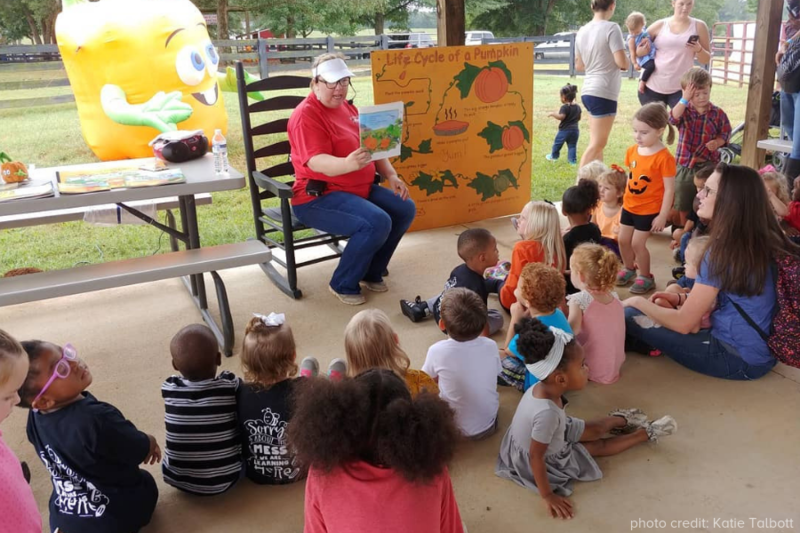 Thank you again to everyone who visited Southern Belle Farm to pick summer fruits, buy local goods from our market & bakery, and celebrate the fall & Christmas season. We look forward to welcoming you back in April when we open for strawberry picking. In the meantime, we want to help you with your New Year’s resolutions! Eat Healthier – Enjoy our Fresh Produce and Market Treats. If you’re trying to add more fruits and vegetables into your family’s diet this year, you might as well buy them fresh and local! At Southern Belle Farm, we offer fresh produce in every season. Come spring, it’ll be time for you to pick strawberries right from the patch. We have pre-picked berries as well if you aren’t into picking them on your own, but we highly recommend you try filling your own bucket! 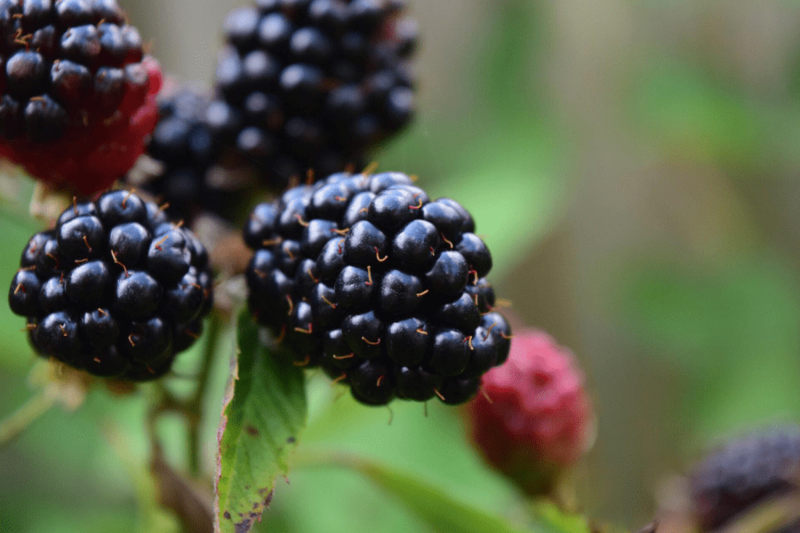 In the summer, you’ll enjoy picking blackberries, blueberries, muscadines, and peaches. Fall is all about the pumpkin patch, but our Country Market will still be stocked with produce, corn, jams, and more goods. Visit us this year and let us help you eat better! Get Outdoors – And Get Some Exercise! Some fresh air would do you good! 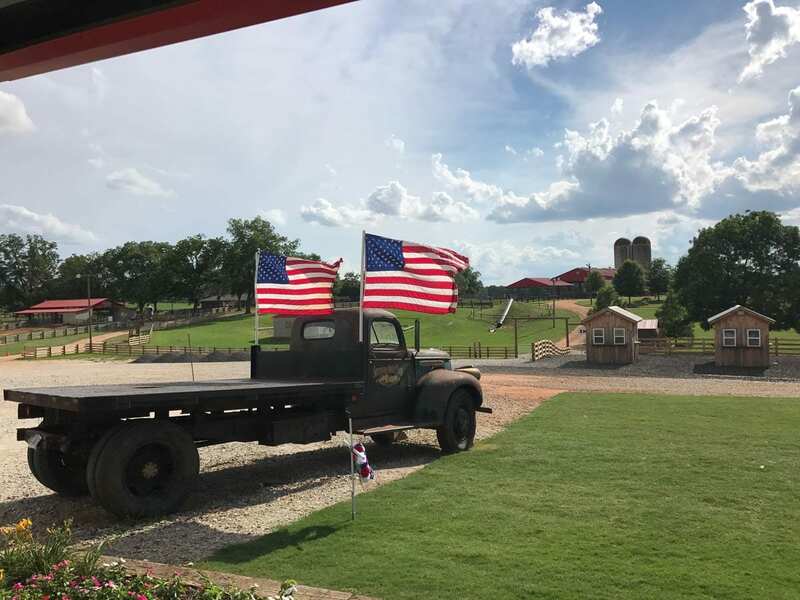 There are so many ways to enjoy the great outdoors at Southern Belle Farm. 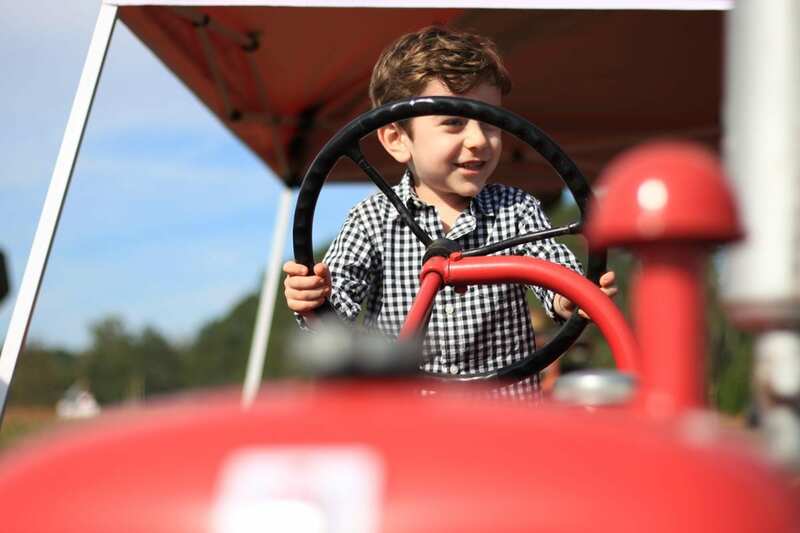 Kids love racing on our Pedal Karts and sliding down our Giant Tunnel Slide. Test out your throwing skills at our Ball Zone or see how quickly you can solve our Corn Maze . 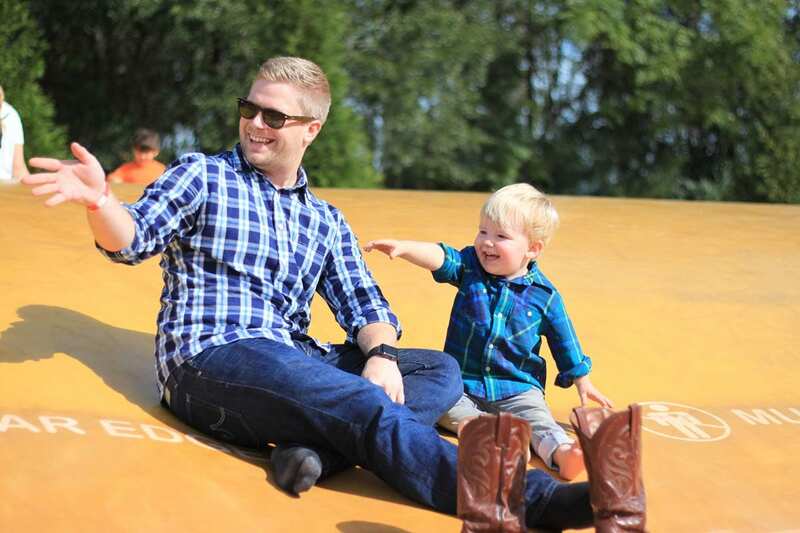 . . And we have to mention this crowd favorite that offers hours of fun—The Jumping Pillows! It’s not just for kids, parents. 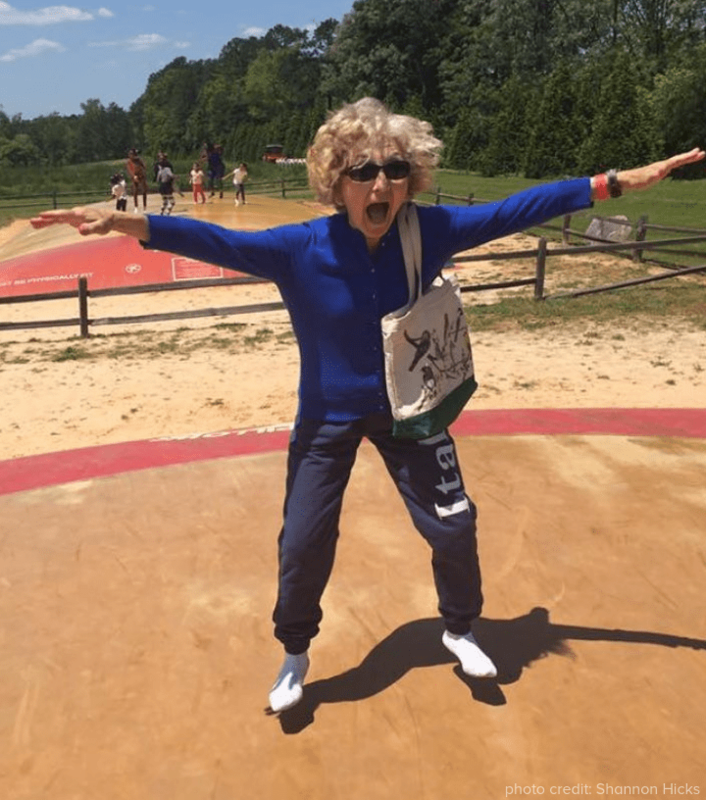 We saw several grown-ups enjoying our Jumping Pillow in 2018. We pride ourselves in farming, but there is so much more here to enjoy. Visit our website to learn about all of the activities we offer for kids and kids at heart. We also do Birthday Parties and Corporate Events! 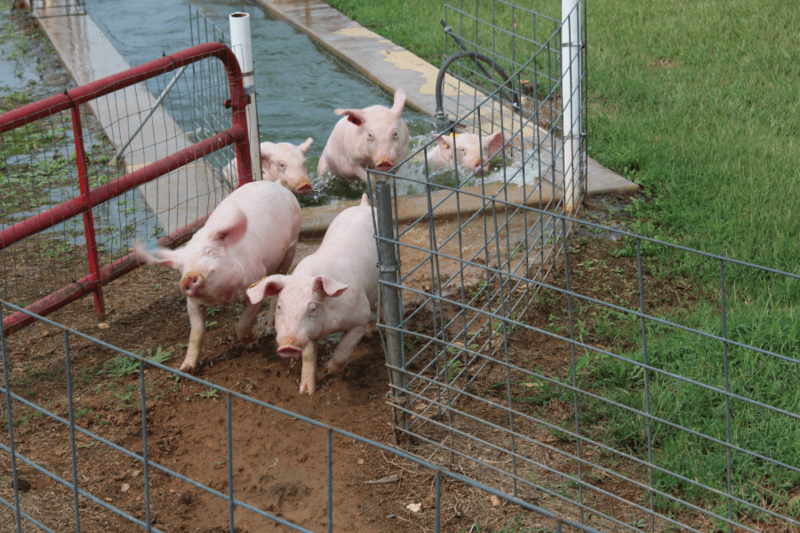 You can also learn a thing or two about getting some exercise from Kevin Bacon, Lindsay Loham, and the rest of our racing pigs! Our Pig racing is a real treat. Did you have fun cheering them on last year? Did you get a chance to wander through our wildflowers? Our Flower Field was full of colorful flowers in 2018 that made visitors stop and appreciate the simple things in life. Everyone is photogenic when surrounded by flowers! Pick a bouquet and be sure to snap a photo when you visit us! Learn Something New – 330 Acres of Outdoor Education! We are big on education at Southern Belle Farm. 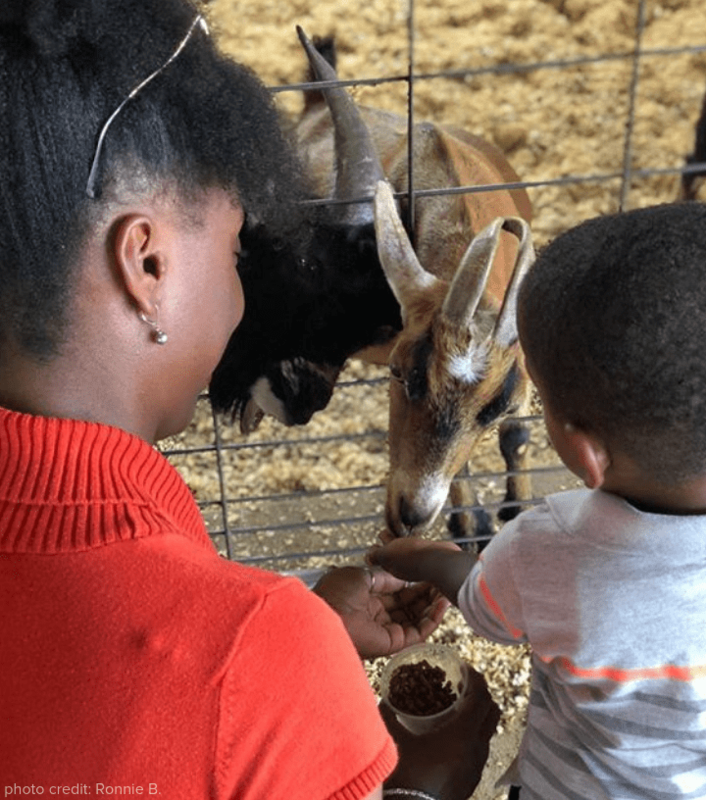 Teachers & parents, have your students experienced a field trip to the farm? We introduce students to agriculture and the vast impact it has in our community and throughout the world. We even have teacher resources available to enhance students’ learning. 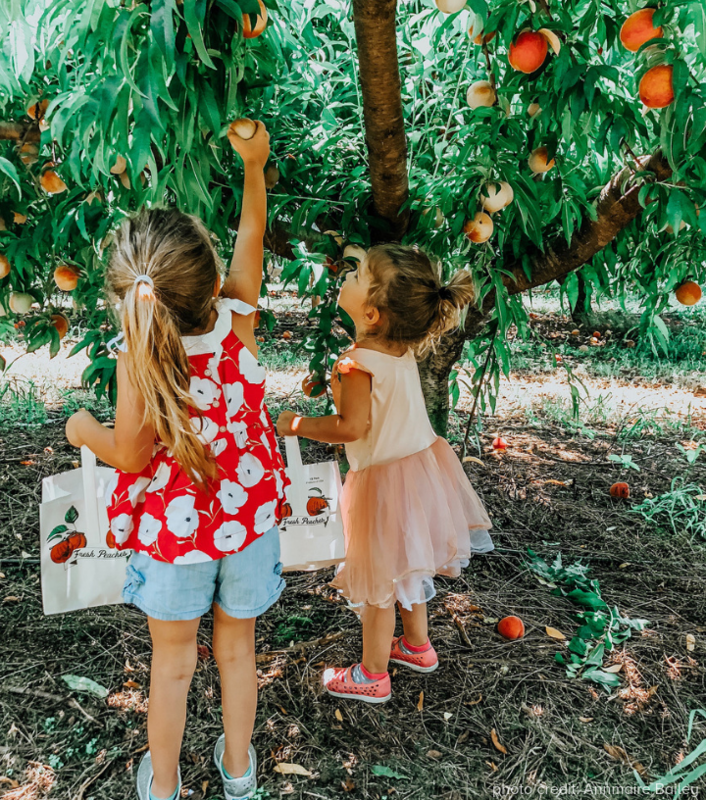 And to all the adults out there, don’t forget that you’re never too old to learn something new about how produce reaches the farm to your table! 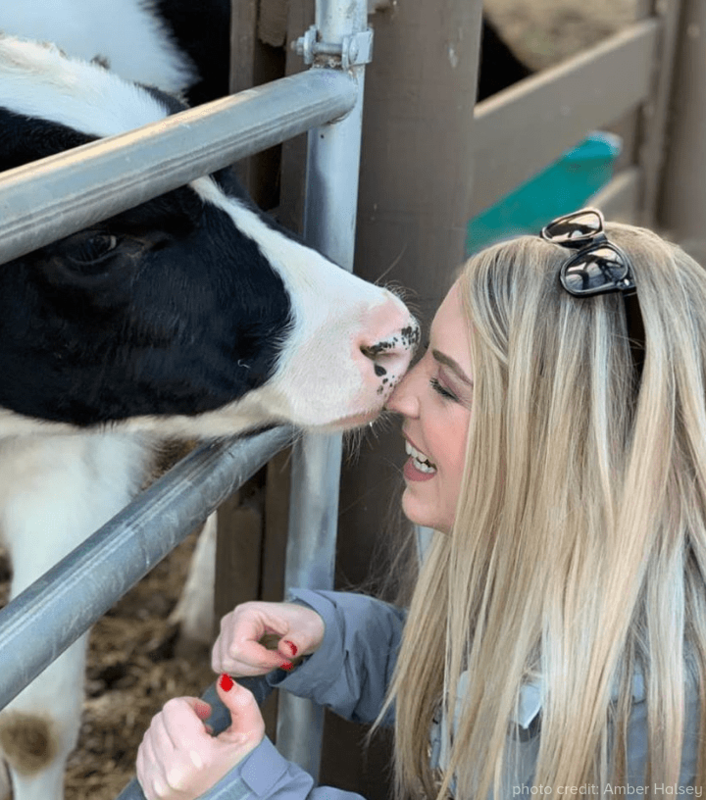 Make New Friends – Meet our Barnyard Animals! 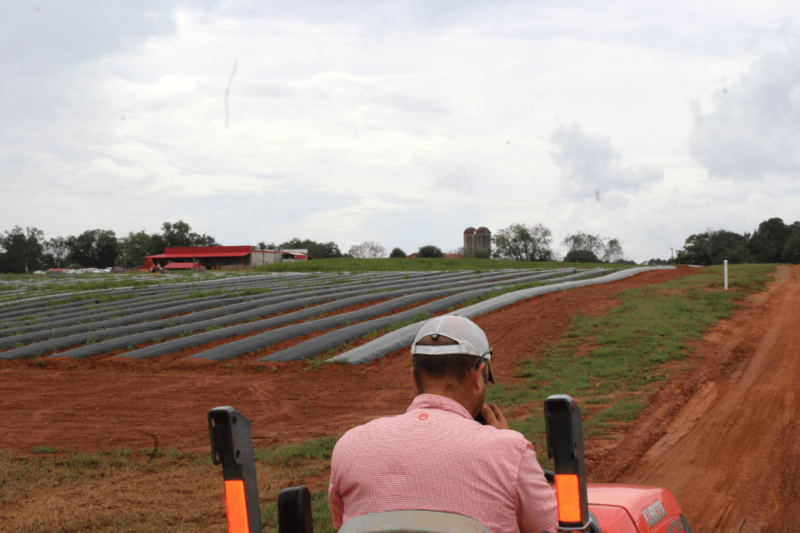 Our strawberries get a lot of the attention at Southern Belle Farm, and we aren’t complaining. Picking that first batch of the season is a thrill. But, don’t leave the farm without paying a visit to our Barnyard Friends at Belle’s Barn. Our farm is home to chickens, cows, donkeys, goats, horses, and more! We are honored to be a part of so many people’s seasonal traditions. 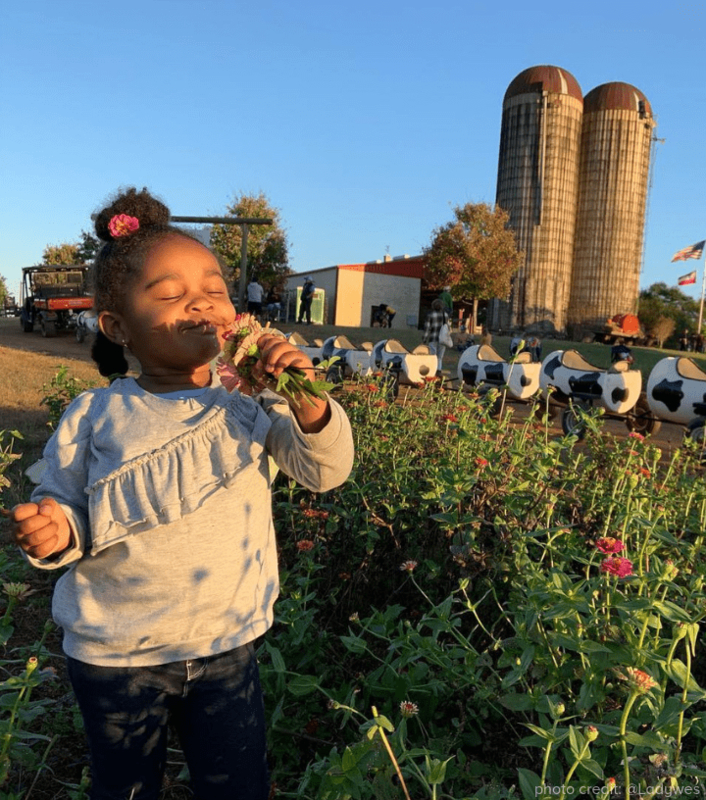 Our staff had a blast seeing all of you having fun on the farm, taking pictures, and teaching your children about the importance of growing food. Currently, we have 16 miles of plastic laid for the strawberries. In a few months, we’ll have thousands of berries ready and waiting for you! 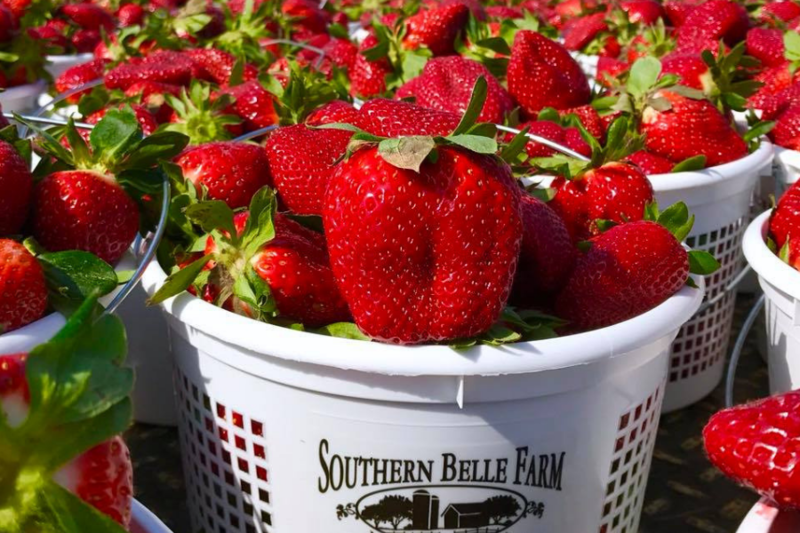 If you’ve never brought your family to pick berries at Southern Belle, we hope you will give it a try when we re-open in early April! There is no charge to pick our berries! All you pay for is the amount that you pick. Thank you for reading! Don’t forget to tag us on social media when you post about your trips to Southern Belle this year! We would love to see them. Find us on Facebook, Instagram, and Twitter.